The claims of Purica’s Menopause Relief are nothing to scoff at. Claiming to halt hot flashes and night sweats, regulate mood, balance hormones, enhance libido, ameliorate stress, and prevent vaginal dryness, Menopause Relief seems to offer women a supplement which can provide much relief from the dreaded menopause. But could all these benefits be true? According to reviewers, the answer is yes. Due to the above average success rate of this particular product, let us take a closer look at its mechanics. According to information, users of Menopause Relief should consume 2 capsules 2 times per day. Nonetheless, there is no indication as to when these pills should be taken or if they should be consumed with food or water. Menopause Relief can be purchased for $36.99. With each purchase, consumers will receive a supply of 120 capsules. Calculated with daily dosages, this is equivalent to a 30 day supply. There is no indication of a discount when numerous bottles are purchased simultaneously. When researching the mechanics of this product, no specific guarantee could be found. This should be a concern for those considering this product. A company should always back their product with a guarantee in order to strengthen the seller/buyer relationship and also provide proof that a company truly believes their product will produce success for all users. 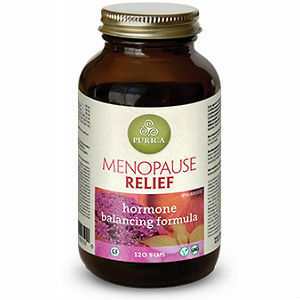 Based upon the reviews associated with Purica’s Menopause Relief, it seems this product has a steady following of happy consumers. Nonetheless, the reviews and benefits are overshadowed by an element which should be of great concern to all future users. This element is the guarantee. When a specific product is not backed by some form of a guarantee, each customer is risking their money. If satisfaction is not produced, customers have essentially lost their money. Because Purica gives no guarantee and does not even tell its customers when to expect results, consumers do not even have a timeframe in which to judge if their investment has been worthwhile. Jackie Horowitz	reviewed Menopause Relief By Purica	on January 18th	 and gave it a rating of 2.